Home › Travel › Too many leaves! We want to leaf them behind. Too many leaves! We want to leaf them behind. My husband and I have loved living in the country, but we really would like to move to town. 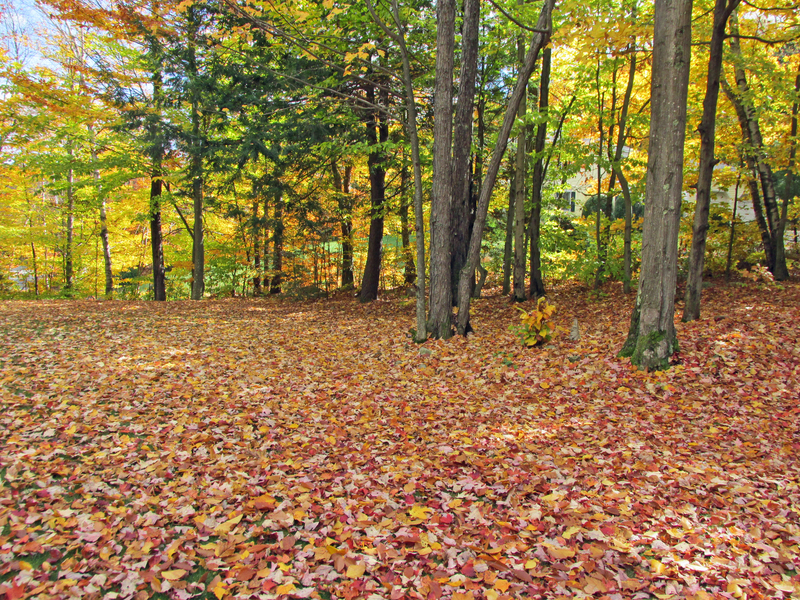 Now that we are older, it’s too difficult for us to keep up with snow removal, and in the Fall, leaf removal. The leaves have already been raked twice, there are still leave on the trees. 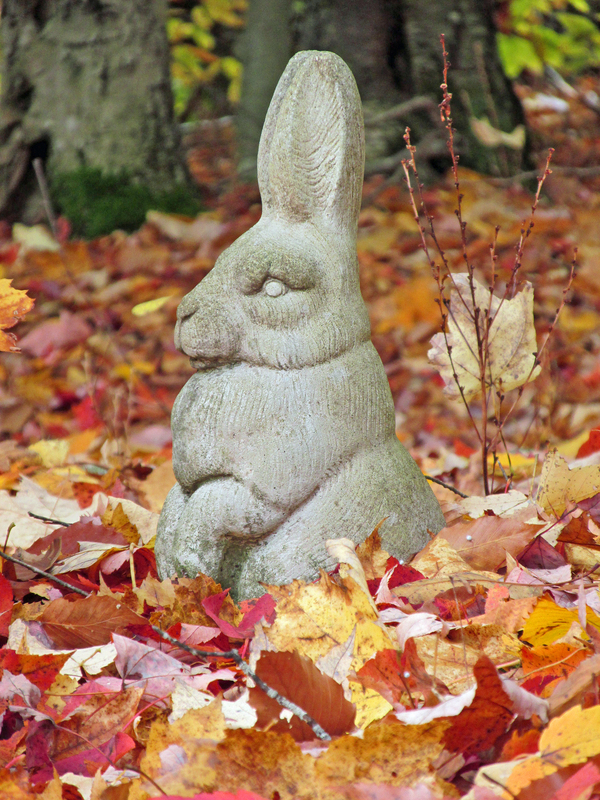 We don’t panic until the leaves are over the head of the bunny. While hiring a lawn service is an option, it’s a very expensive one. Acres and acres of trees makes for beautiful scenery and a whole lot of leaves. Fingers crossed we can find a home in town, close to a lawn service that will help us with a moderate sized lawn, and far fewer trees.